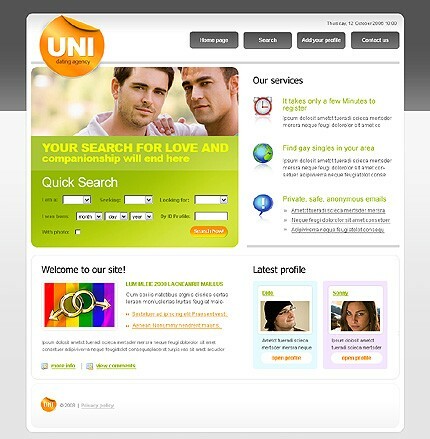 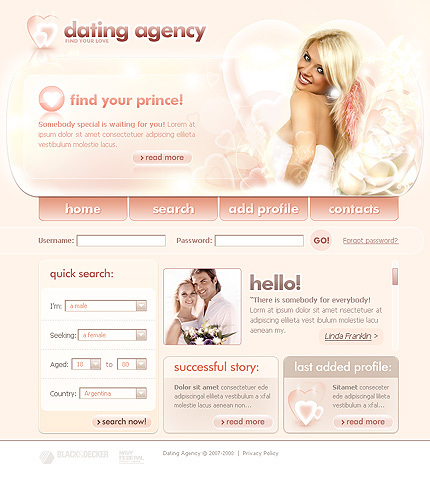 You can choose from any of our dating design skins to change the look of your site at any time. 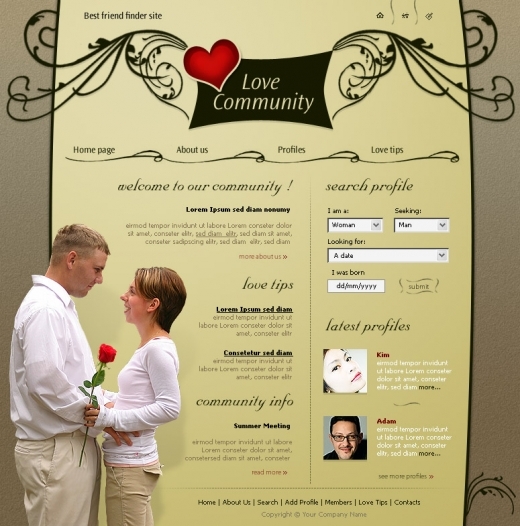 Check out our current designs, and join our e-mail list if you'd like to hear from us when we post new designs. 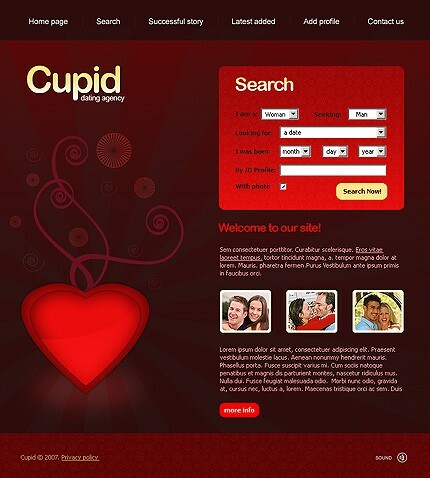 We're always creating new designs for our Dating CMS!